Add coconut oil, carrots, celery, collard greens, beets, turmeric, black pepper, cayenne pepper, cumin, miso paste and olive oil with a few drops of water to pot and set to cook on medium for about 5-7 minutes (stirring regularly). Add beans and remaining water to pot and keep on medium until water begins to boil after about 10-12 minutes (stirring regularly). After about 20 minutes, open lid, stir ingredients all around and test a bean or two for readiness (beans will become soft and a bit mushy to the bite once ready). Once beans are ready, turn heat off and serve warm with your favorite grain of choice (like rice or quinoa) and a sprinkle of sea salt for taste. Packed full of beneficial bacteria, nutrients and enzymes, miso provides a great source of dietary fiber, protein, vitamin B12, vitamin B2, vitamin E, vitamin K, tryptophan, choline, lecithin and linoleic acid. 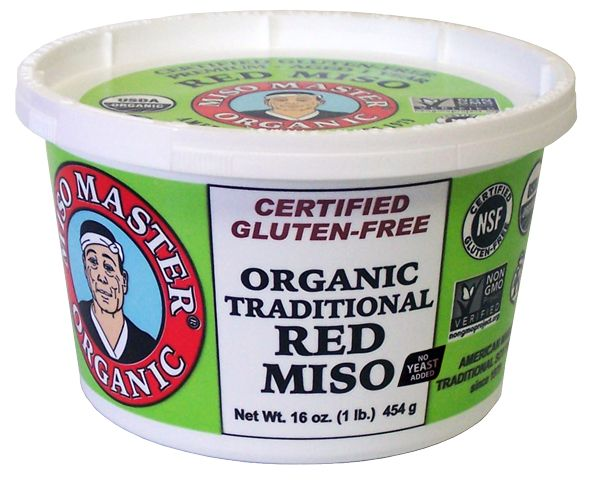 It's an easy add for any recipe and Miso Master is a favorite brand for organic miso. These misos are called Long-Term and are made the traditional centuries-old way. They are aged naturally without temperature control for up to two years in giant four-ton cypress, redwood, or fir vats. We use only the finest certified organic ingredients, producing dark, rich misos that give a wonderful flavor to soups and stews. At the American Miso Company we follow macrobiotic theory, traditionally processing all of our misos using only certified organic whole beans and grains, Blue Ridge mountain well water, hand-made organic koji, and sun-dried sea salt. Thirty years experience in artisanal organic miso-making produces the finest miso in the world. Miso Master uses all natural and organic ingredients and has a variety of misos and flavors available (all of which taste DELICIOUS!!). Their Organic Traditional Red Miso, for example, is made with Organic Whole Soybeans, Organic Handmade Rice Koji, Sun-Dried Sea Salt, Blue Ridge Mountain Well Water and Koji Spores. Perfect, got you signed up for Miso Master Product Updates. Please be on the lookout for a confirmation email reply shortly.